Adam Schefter of ESPN reports that according to sources, Terrelle Pryor has agreed to a four-year deal with the Raiders and is with the team now. The Raiders used a third-round pick Monday in the NFL’s supplemental draft to select the former Ohio State quarterback. It was the 18th selection of the third round, and the team will forfeit a pick in that round in the 2012 draft. Pryor will be able to practice immediately after signing and play in the remaining two exhibition games. 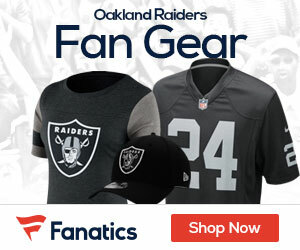 But he will not be eligible to practice with or play for Oakland during the regular season until the team’s sixth game after being handed a five-game suspension by the NFL.